The Singer-Huawei partnership formed in June 2012 has resulted in Huawei becoming the second largest selling smartphone brand in Sri Lanka, occupying 15.5% of market share. This was reported in the Sri Lanka Mobile Handsets Market Review for the third financial quarter published by premier IT, Telecoms, Semiconductor, Electronics, Infrastructure and Life Sciences market intelligence and advisory firm CyberMedia Research (CMR). Singer distributes Huawei smartphones to meet an increasing demand for technologically advanced yet reasonably priced smartphones in Sri Lanka. A Singer spokesperson said that Singer has to become the number two marketeer of smartphones in the country. Lead Analyst, CMR Telecoms Practice, Faisal Kawoosa said, "The Sri Lanka mobile handset market is showing a marked preference for smartphones versus feature phones that is even higher than the market in India." Of the total demand for smartphones in Sri Lanka, 96 percent is for Android-powered smartphones, among which Hauwei is the second largest. 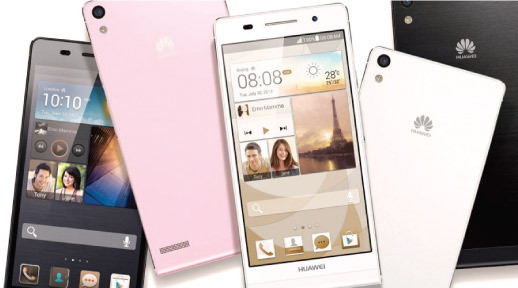 Android technology that powers Huawei smartphones is the most dominant smartphone operating system in the world, occupying 81.9% of the market.